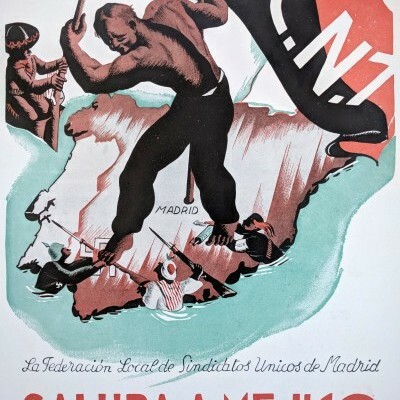 [Confederación Nacional del Trabajo; Asociación Internacional de los Trabajadores]. 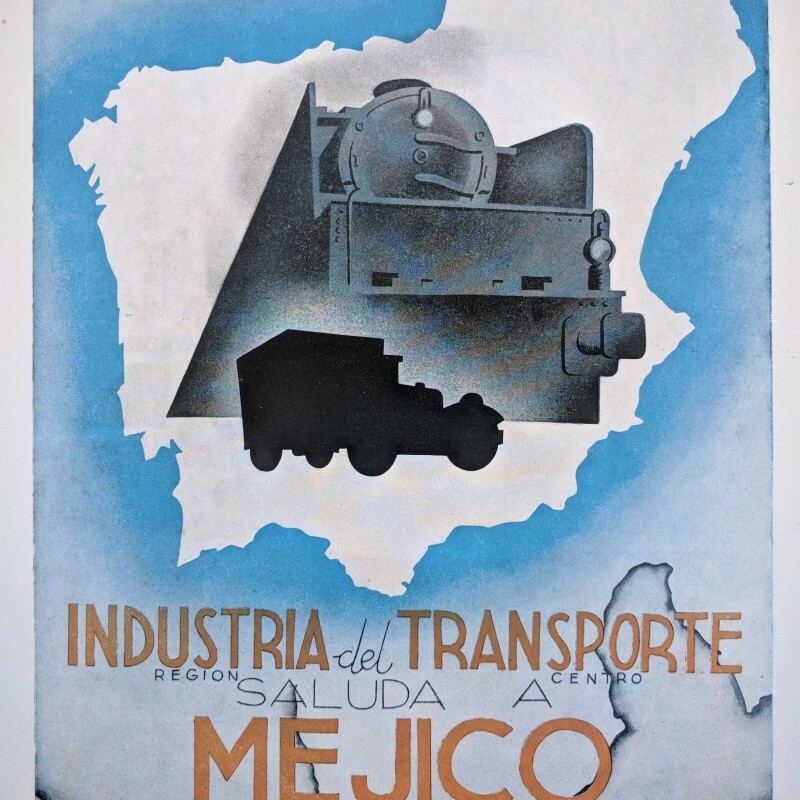 Saluda a Méjico: Two Posters. [Madrid?, Spain]: ca. 1936-1939. Each sheet approx. 15 x 10-⅞ in. ; colors fresh with minor edge-wear and a few pinholes not affecting images, very good. Mexican President Lázaro Cárdenas assumed a huge domestic political risk in his support of the Republicans during the Spanish Civil War. Despite widespread public opposition to the Republican cause, Cárdenas equated his own revolutionary project with the Spanish one; Mexico sent overt military and financial aid and also smuggled arms in direct contravention to the embargo placed by the London Committee of Non Intervention (1936). Historians have claimed that the Republican loss in the Civil War was a turning point in Mexico’s own politics and set the stage for a strong conservative turn after 1940. But many Mexican workers, intellectuals, artists, and soldiers embraced the Frente Popular coalition of unions, communist and anarchist parties. They volunteered in the war and became passionate supporters of the thousands of exiles who fled to Mexico when it ended. Propaganda depicting the evolving war-time relationship between Spain and Mexico is rare. We find no examples in the trade or in institutional collections.